Purdue University is using a new method for distributing season tickets to students attending football and basketball games. Now students have the convenience of their university ID cards being preloaded with tickets for home games. As host to the Washington Redskins during the NFL season and various other sporting events throughout the year, FedExField in Andover, Maryland requires a large team of employees to keep the stadium running. During the off season, when there are no events, the stadium houses about 50 employees during the day. However, when an event rolls around, between seasonal, contract and temporary employees, the stadium workforce can expand to as many as 10,000 employees working for a single event. To secure access points and verify credentials, FedExField stadium operators implemented a new high-tech and biometric employee ID badge system. Every year golf enthusiasts flock to Augusta, Georgia for The Masters Tournament, the sport's greatest spectacle. The Masters is one of four major championships in professional golf, which means it's a pretty big deal. Large sporting events such as this often require strong security because of the large crowds they draw. 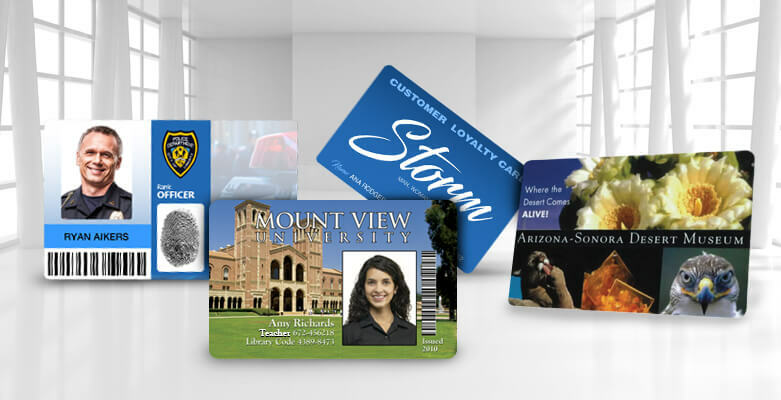 Event IDs help to maintain a certain level of order by quickly identifying who belongs where. These cards are often color coded to distinguish spectators from members of the press, athletes, officials, and volunteers. Students at the University of Georgia no longer have to pick up paper tickets to attend Bulldog football games. This is a big deal, especially in the Southeastern Conference, where a football ticket on gameday is more valuable than the most precious of jewels. For the first time last Saturday, UGA students were able to attend a Georgia football game simply by having their student IDs scanned at the gate. The new system is electronic. Students purchase their football tickets online, and instead of receiving paper tickets, a record of the transaction is stored in the school's computers. When the barcode of the student ID card is scanned on gameday, the electronic ticket is verified and the student is granted entry. European soccer fans continue to make their way into our blog. It's no secret they're passionate about their futbol clubs, but occasionally that excitement can lead to violence and hooliganism. This explains the recent rise in ID card programs that aim to enhance security at soccer matches across the pond.